Welcome to the Treasure Chest. This is where you can view sample items from our inventory. Please see below for a few select items currently available (see "Previous Sales" for a sample of items recently sold). 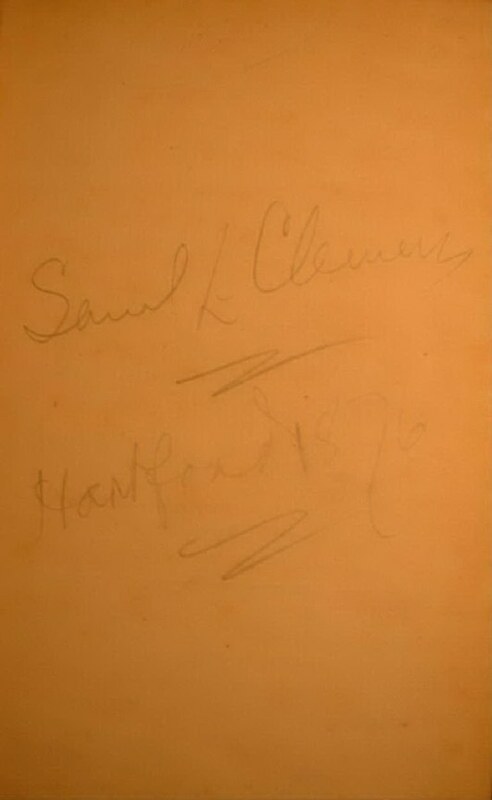 Whether you have just started to collect Mark Twain, or are a seasoned Mark Twain collector---YOU may be AMAZED to see the high quality items we get from time to time. 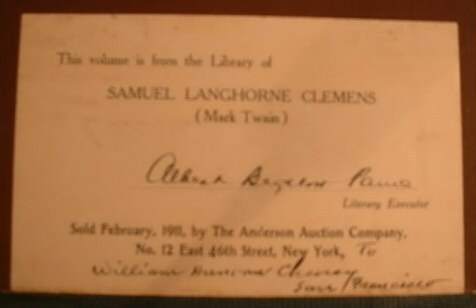 We strive to procure the very finest Mark Twain memorabilia obtainable for our clients. Period. This pays off handsomely for our clients (& often adds luster to our reputation). Please contact us if you wish to be placed on our mailing list. If you are looking for anything in particular let us know so we can provide you with notice when such material becomes available (most of our sales occur outside this website). All items are fully guaranteed authentic & to meet with your complete satisfaction (see "about our merchandise" for details). We are proud to have a well satisfied customer base, and look forward to serving you. Truth is Stranger than Fiction quote. 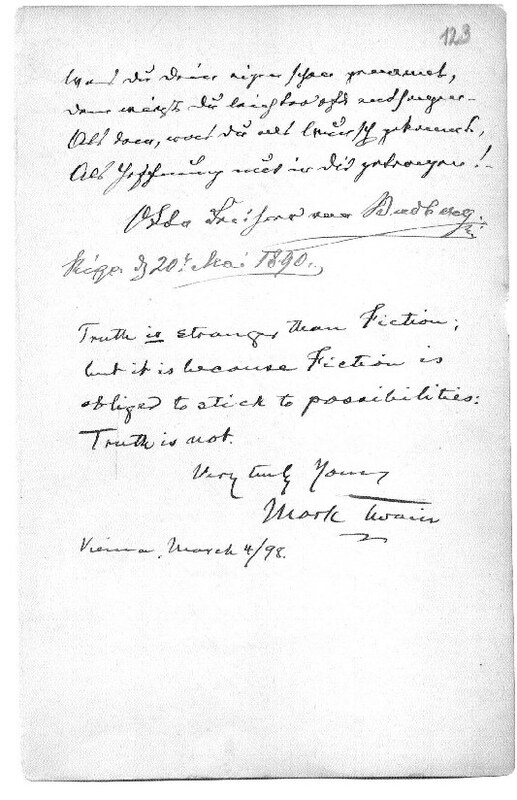 Twain's observation is as current as the 911 disaster, or as timeless as the very limit of fiction bounded by reality. Specifics upon request. 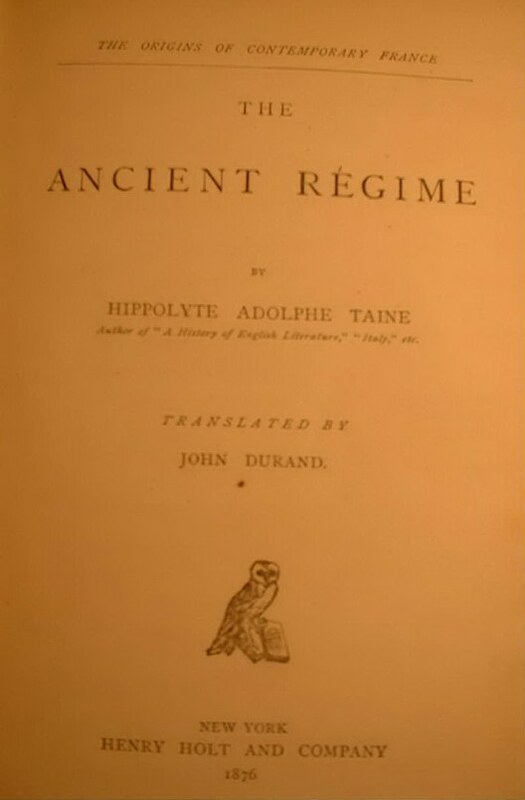 Mark Twain's ownership inscription on the front endpaper of The Ancient Regime by Hippolyte Taine, published in 1876. 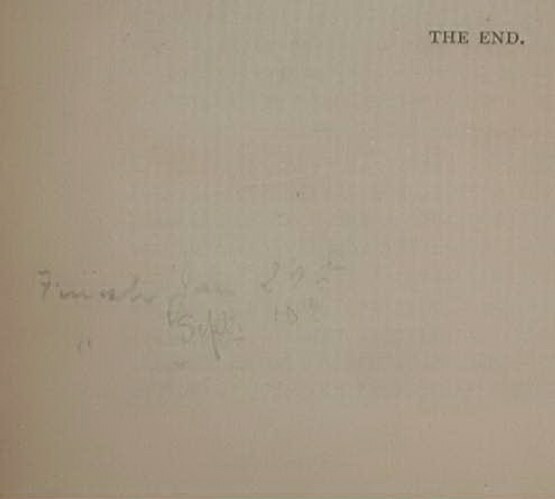 This is a very special & influential book from Mark Twain's personal library, read two times by him back to back late in 1876 & early in 1877. When he first bought & read this he was having The Adventures of Tom Sawyer published for the first time & was busily starting to write Adventures of Huckleberry Finn.